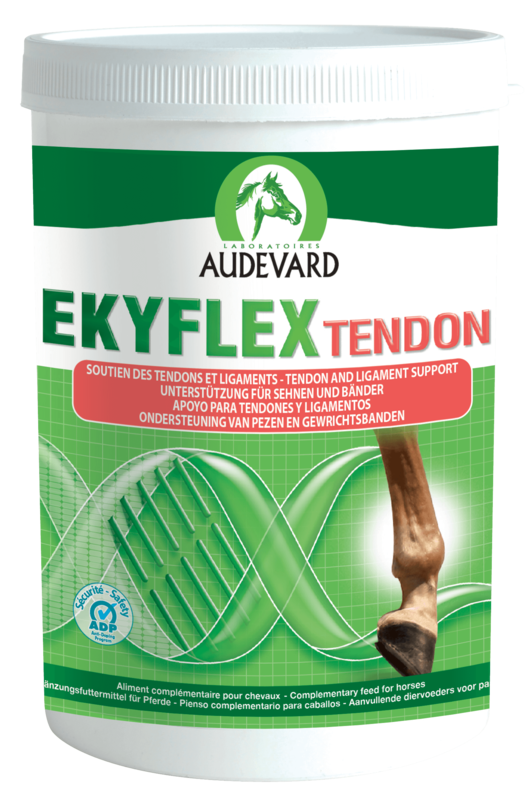 Ekyflex Tendon is a nutritional supplement formulated by Audevard, to provide support for horses with tendon injuries or sensitive tendons prone to injury. It contains Centella asiatica, which is thought to promote the formation of collagen (the main component of tendons). It also contains Bromelian, which has been shown to encourage production of tendon cells. In addition, Ekyflex Tendon's effects are enhanced by Fucus vesiculus; Vitamin A & Zinc. Feeding Instructions- Give 30-60g daily. Use as required over 10-12 weeks, whilst the tendon injury is healing. 600g will last for up to 20 days.